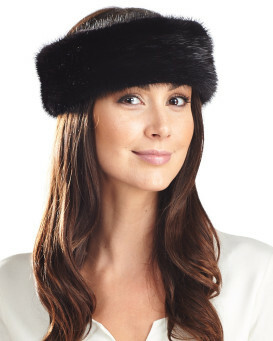 Our Exquisite Chinchilla Fur Ear Muffs are a must have accessory, perfect for those cool days and winter nights. 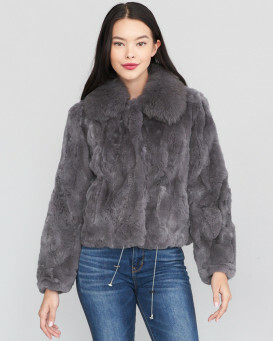 Made with genuine all natural Chinchilla fur. Soft velvet headband avoids messy hair. Exceptional quality. "I have several pair of earmuffs. I have found, over the years that there is "nothing warmer than fur muffs". This last pair are extremely attractive. I have not worn them yet, but try to keep a pair with each of my winter coats. I have gotten these (a beaver pair) for a friend who also love them. I bought my first pair years ago while in Alaska, but did not realize I had to be careful in the cold, because the headbands break easily, so those are gone. Now I take precautions.I have shopped tis website before and find it to be very "user friendly". Service was prompt." 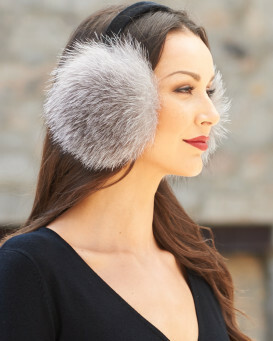 "Exquisite ear muffs arrived very quickly indeed! Wore them the next day as it was cold and the wind was howling .... protected my ears just the way I was hoping they would!"